Quick Critical + is the quickest feminised strain of our catalogue. In less than 50 days, namely in some 42-49 days, the amazing nuggets of this Indica-dominant hybrid will be ready for harvest. But, besides fast, her yield and quality are well worthy of her mother: Critical +. Same scent, same resistance, same aroma and same effect; but at least a week quicker. That's where the main advantage of this new strain lies. At such speed, the yield is further exploited and everything is more likely to come out well. When growing outdoors, you'll save yourself a whole week of suffering thinking about the possibility of having your crop ruined by bad weather conditions or even stolen or seized. If growing indoors is your thing, you'll have time to do so more often than with her feminised version. Morphology: Quick Critical + comes from the cross of an elite female clone of Critical + and an elite reversed (male) female plant of our Critical + 2.0 Auto line. The result is a mid-sized/tall plant with rather Sativa-looking leaves, ample internodes and branches that love stretching out, making for greater aeration and fewer moisture-related problems. Thanks to her Sativa-shaped structure, light can also penetrate more easily and reach even the darkest depths, allowing each and every of the flowers to fully develop. This morphology gives way to cannabis buds that live up to her mother’s high standards: bulky, heavy, thick and resin-packed. Yield: The yielding properties of Quick Critical + are almost as high as the ones offered by Critical + and her auto version. It just drops by 50 g compared to the original strain. Talking about crops of over 500 g, such difference is rather insignificant. In fact, this heavy-producer can provide up to 600 g/m2 indoors and some 1250 g/plant outdoors. In terms of quality, she’s unbeatable. Huge, heavy and super-dense buds overflowing with trichomes and intense aromas that are sure to require the use of stakes to keep the branches up. Aromas and flavours: Quick Critical + gives off a unique fresh and intense Skunky and lemony aroma. Those of you who’ve grown Critical + know exactly what we’re talking about. That’s why we think harvesting a week later is of paramount importance: if discretion is what you’re looking for, the aroma of Critical + will do everything but help. 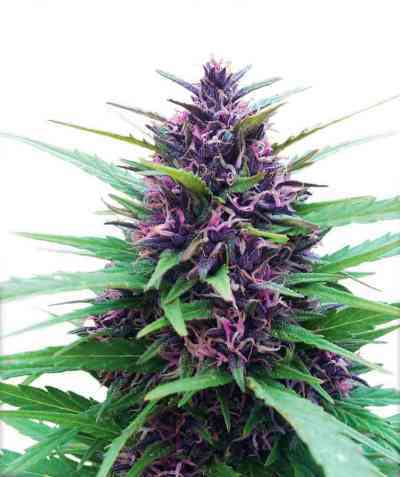 Thanks to her quick flowering, she fully grows during summertime which is when the sun is more intense and can help her develop more intense aromas too. Her scent is, in fact, one of her most distinctive and inspiring features, making our taste buds tingle with a single drag. Effects: Quick Critical + presents a highly physical effect. Mostly Indica-dominant, this THC-rich strain delivers a powerfully relaxing high that is perfect for a wide variety of therapeutic purposes, from relieving stress to alleviating muscle tension. This quick version is far more physical and couch-locking than Critical + because one of the most characteristic traits of autoflowering genetics is the strong physical sensation they produce. So, if Critical + was already a powerful strain, so is Quick Critical +, but with an even more intense soothing effect. Cultivation: Quick Critical + is one of the easiest to grow genetics ever, producing top-quality buds in exchange for very little attention. If Critical + was synonym with yield and quality, and Critical + 2.0 with resistance, this incredible creation is, besides all that, super-quick. But she’s not autoflowering. She’s simply a week or so faster than the original. So, if you love huge plants, this strain is meant for you. A plant that grows incredibly big during the veg. phase and delivers equally large buds during the flowering. This Quick version has two main advantages: lower risks outdoors and greater profitability indoors.